Buying a successful investment property in Melbourne has some similarities to running a small business. You simply need a good quality product that appeals to the public. Then hire experienced workers that will take care of your investment. Our buyers advocates share some of the secrets to success when it come to running this type of business. Regular real estate growth for over 40 years. Melbourne Median House Price Per Decade. Value for money in comparison to Sydney, with similar growth (Sydney’s median house price is currently at $1,058,306). Low rental vacancy rates and reasonably high rental returns. Allow non-Australian investors to purchase. Major Infrastructure – A sign of a wealthy country is a country that is spending money on roads and rail. In 2018 Melbourne is taking on the biggest road and rail projects in its history with works on: Westgate second river crossing, North Eastern Link, Mordialloc Bypass, Whitten Bridge Upgrade and the Metro train tunnel. Billions of dollars are being invested by state and federal governments to keep Melbourne connected and moving. Access to Natural Amenities Within 1 hour of Melbourne –Port Phillip Bay, The Yarra River, Mornington Peninsula, Bellarine Peninsula and some of the world’s best beaches. Distance to the City – Melbourne’s metropolitan area is only 50km to the CBD from North, East or West. Hence travel times are considered low in comparison to the urban sprawl experienced by locals in other competing cities of the world. Employment: The central business district houses some of the world’s biggest corporate companies like Google, BHP, Australia’s biggest banks, Price Waterhouse Coopers, Exxon Mobil, Toyota, Boeing, Siemens, and Bosch to name a few. Melbourne has a consistent unemployment rate that ranges between 5.5% 6.5%. Walking distance to train station – Owning a car is optional if a property is located around the many railway stations. Melbourne has great regional and metro train lines with more to come. Generally, rents and property prices are slightly higher within 1km around a train station with lower rental vacancy rates and lower time on market when selling. Coffee shops – Everyone talks about the culture and life style offered by Melbourne, it all seems to link back to the European café influence. The CBD has some of the best coffee shops in Australia and now the popular inner suburbs share the same sought after culture. Sport – Melbourne is know as the sporting capital of Australia offering some world class events like the Formula 1 Grand Prix, The Australian Open, The Melbourne Cup (horse racing) and the Cricket to name a few. It is also home to local sports like the Australian Football League, A League (soccer), and basket ball. Education: Melbourne’s higher education system is well known around the world with some of the best universities in the country. A property with access to many of the above features leads to longer lease terms and better-quality tenants. Buying A Property: Making The Right Move With The Right Advice. Purchasing in a suburb that offers maximum capital growth with low rental vacancy rates that’s not over priced. Dealing with real estate agents, trying to work out fact from fiction. Competition from the public. It’s common for properties to sell well above market value. Many investors forget to consider one of the most important factors of successful real estate investing, an exit strategy. This can shape the type of property you initially purchase in the first place. For instance, long term investors can sub-divide property and building second dwellings with equity, therefor buy property with a large land allotment is more suitable. Short term investors would look for a property that have maximum capital growth where value can bee added with simple add on’s. Thankfully there are teams of real estate professionals that can help you in buying your investment property. There called buyer’s agents or buyers advocates. The idea of this type of service has American origins and has only become popular in Australia over the last 10 years. Buyers agents are ex-real estate agents that understand what makes a good investment property because they have sold hundreds of homes when they were real estate agents, witnessing first-hand what a successful investment looks like. They manage the whole process, starting with selecting the right property from thousands, understanding it’s market value and negotiating the best out come for their clients. With so many different lenders and credit providers to choose from, you may decide to get a finance or mortgage broker to do the legwork for you. Brokers can help you find out about suitable loans or credit packages and arrange special deals. A good mortgage broker has access to hundreds of mortgage products from all major banks offering you the best rate possible and choice in banking products. Have the Property Inspected buy a building and pest inspector – One of the best ways to avoid unexpected expenses is to have the property inspected by a professional before you buy it. Make friends with a solicitor or conveyancer. A solicitor will make sure all contracts are legal and your property settles without a hitch. You might ask what is the difference between a solicitor or conveyancer: For a straight forward property purchase, a conveyancer is fine. Bit cheaper than a solicitor. However they cannot give legal advice, they just follow procedures. Properties located near train stations, schools, shopping centres and other amenities bode well for investment growth. This is a result of their increased reputability and lifestyle appeal for renters and buyers. When spotting a good investment suburb, look for any planned infrastructure, which may positively impact the future sales price of the property. You can get this information from local council websites and government transport organisations. Try not to mentally restrict yourself to the suburb you’ve grown up in or by the type of asset you want. Many investment opportunities exist within the property market, including off-the-plan, rural and commercial property. Be open to the possibilities. Jump in your car, hail a bus or catch a train to a section of your city or area you’ve never explored and get to know it a little better. Realestate agents us property reports to show suburb price growth using monthly, yearly and 10-year comparisons. A buyers advocate take’s the time to obtain and analyse this data – it will identify market peaks and troughs, as well as dormant suburbs that are on the verge of a property price boom. 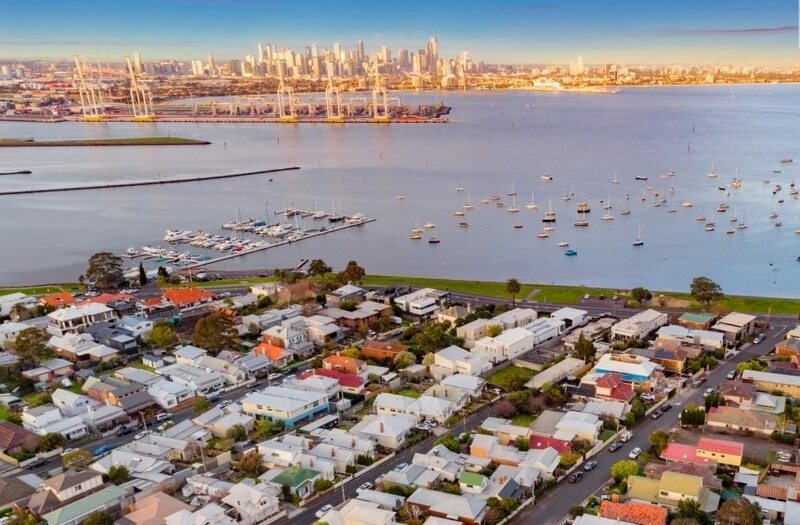 Often, the most popular suburbs have already experienced a price peak and boom, and it could be another seven to 10 years before they achieve a similar cycle. If you invest in these suburbs, you could be paying top dollar for a slow return compared with a less popular suburb. So, when looking for a suburb to invest in, go for the next best option – one that’s similarly priced. Chances are, you’ll be buying into a suburb that has yet to boom and will provide you with the fruits of that return. If you’re looking to invest in a house or unit, consider the market impact of surrounding developments, such as new housing estates and high-rise constructions. Generally, the more properties available for sale in a suburb, the more diluted the return on your investment. A buyers advocate will have in depth knowledge with what is going on around your suburb. One element of capital growth investors can control comes from maintaining your original investment to a high quality. Poor tenants selection can cost more than damages and loss of rent, it can actually effect your final sale price. Hence, once a property has been purchased it is important to find the best property management firm that understands the below two major aspects of property management. Careful tenant selection, tenants need to have great rental history when it comes to caring for property and making timely rental payments. Property managers need to conduct regular routine inspections and understand the rights of the landlord and tenants. 2. Maintance, One of the biggest factors in a property’s capital growth is the care of the internal and external fixtures and fittings. Your property managers must have an eye for this because something as simple as water leak could be detrimental to long term maintenance costs. Making sure tenants leave a property the way it was found when they first moved in. Buying Investment Property in Melbourne is an exciting prospect that can be very rewarding providing the correct steps are taken throughout the process of owning an investment property. With the high cost of owning investments property in 2018, landlords are always looking at ways to increase rental income. This is a beneficial practice to keep your investment portfolio fit, healthy and prepared for the unexpected. Increasing your rental income can come in many forms apart from the obvious of increasing weekly rent. Check the market value of rent. If it has been a while since you last increased the rent, speak to your property manager about getting a rental review. In most cases you could be undercharging if your rental property has been in your portfolio for a number of years with no rental review. This could also be an opportunity ask your property management company for a discount on fees. Before you pick up the phone do your research on market rents in the area and what a good property manager charges. This will give you leverage when asking for discounts and also make sure your don’t upset your tenants by asking them to pay above market value. Speak to a mortgage broker to see if there is another lender out there that could offer you a lower finance rate. Alternative, make an appointment to speak to your own lender about whether that could lower your finance rate. They might be more accommodating if you have a large loan, or if it’s clear they will loose your business. Alternatively consolidate your loans to one large loan, this could save you in annual fees. Consider different options to your mortgage like using an interest only option, this is an easy way to increase your incomings is to reduce your loan to interest only as it reduces the size of the payments. Using the surplus funds to improve your property then offsetting the new costs by claiming it on tax. Newer homes tend to require less maintenance, which means you don’t need to worry as much about the constant repairs and improvements older homes require. Regular unforeseen costs can dishearten a seasoned investor with the high cost of trades people. An average plumber charges $100 call out fee and $30 per 15 minutes. Consider changing your insurance to decrease maintenance fees. For instance, RACV land lord insurance cover offers 7 free call outs for general maintenance per year. Our Wise consultants suggest furnished properties appeal to a very niche market. Either corporate clients (properties within the CBD), or international students (properties close to universities and transport). Furnished properties can attract a higher yield, but also attract a high turn over which means you’ll need to budget to afford a higher than normal vacancy rate. The cost of the furniture can also give you a tax-deduction opportunity.